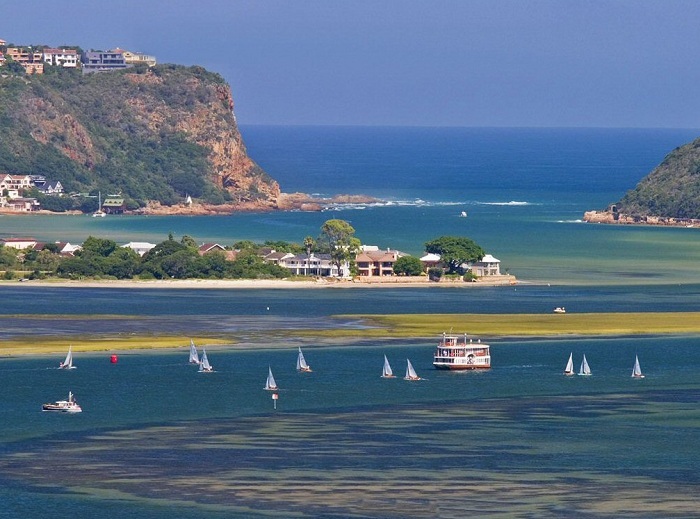 Knysna sits in the middle of South Africa’s famous Garden Route. The Garden Route is a 175km (109 mile) stretch of coastline that starts in Mossel Bay on the Western side and continues easterly through George, Wilderness, Knysna, Plettenberg Bay, and finally ending in Storms River on the border of the Western and Eastern Cape provinces. This area of South Africa is known for its extremely mild climate rarely falling below 50°F in the winter or above 80°F in the summer – pretty nice if you ask me. In fact the Garden Route is home to the second mildest climate in the world after Hawaii thus making it a top destination for vacationers and retirees alike. 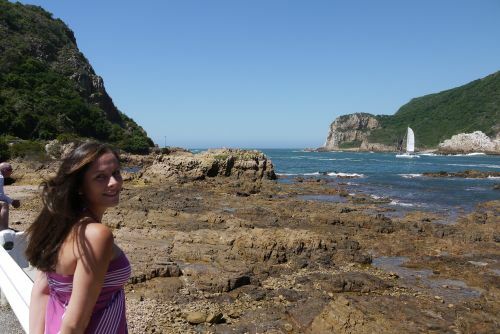 Knysna is the crown jewel of the Garden Route in my opinion. 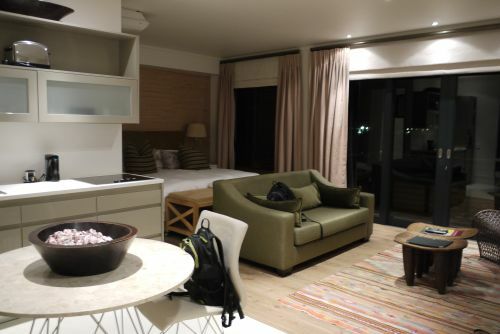 While Mossel Beach has its beaches, and Plettenberg Bay its panache among SA’s wealthy elite, Knysna seems like a perfect blend between small town charm and cosmopolitan cafes and restaurants. 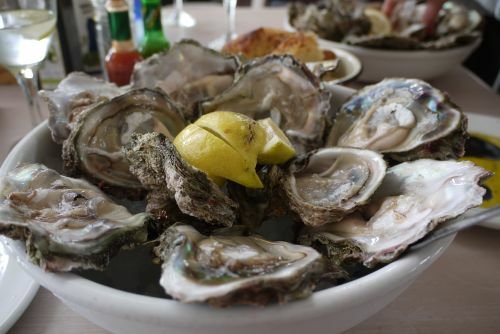 Due to the warm water lagoon/estuary that the city is built around, Knysna is especially know for its locally cultivated and harvested wild oysters. While a number of tour companies can take you out on a boat in the Knysna lagoon to experience first hand the difference between wild and farmed oysters, Alison and I thought we would simply skip the boat ride and go right to the oysters. 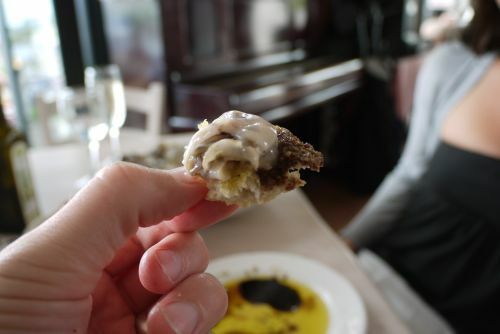 I preface this with the fact that prior to Knysna I was anything but an Oyster lover. Growing up near the Gulf of Mexico, Alison has always had a strong taste for Oysters. I on the other had, grew up in Kansas, as far from any major body of water as anywhere in the US. Needless to say, Alison tried to develop my taste for Oysters on a couple of select occasions in Dallas but failed miserably. 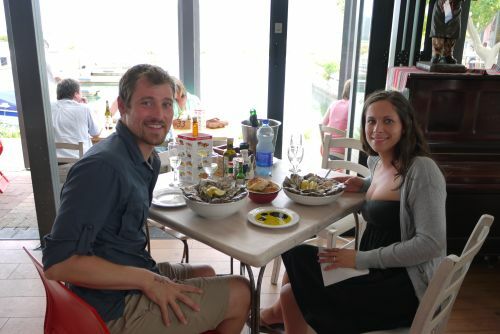 We decided to have our oyster feast out on Thessen Island in the Knysna Quay area. I was optimistically reluctant strolling into an oyster bar and ordering up two dozen wild fresh raw oysters, but what I figured it was now or never to develop a taste for these seafood specialties. I know they say your taste buds change every seven years, but mine certainly made a 180° on Oysters. These things were divine! Not only were they one of the best seafood I’ve ever had but I’d go as far as saying they were a top 10 food in general. Talk about your Cinderella story. Thank you Knysna! Full of oysters and happiness we made our way back to the Rex Hotel (www.rexhotel.co.za/) to lay our head down for the night. We of course got a great deal on the room thanks to Booking.com (www.booking.com), but nonetheless it was definitely a flash packer moment as the Rex Hotel was probably one of the nicest places we’ve stayed on our trip thus far. The next morning we reluctantly and slowly pulled ourselves out from under our ever so comfy duvet, packed up our things and head out on the road again. 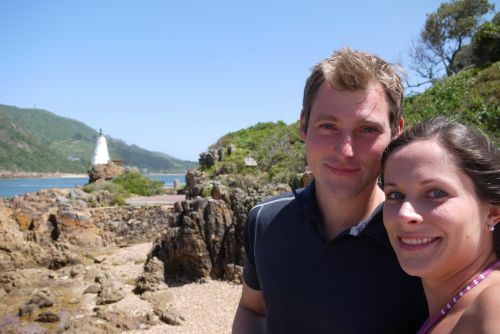 Before leaving Knysna we decided to catch a quick breakfast at the #1 rated breakfast spot according to, the East Head Café. Trip Advisor didn’t let us down. Not only were the views from this restaurant situated at one of the points head amazing, but the food was even better (if that’s possible). We both dined on eggs benedict, and knowing how hard it is (or at least observing Alison do it), to perfectly poach an egg, I was certainly impressed with both the plating and especially the taste. 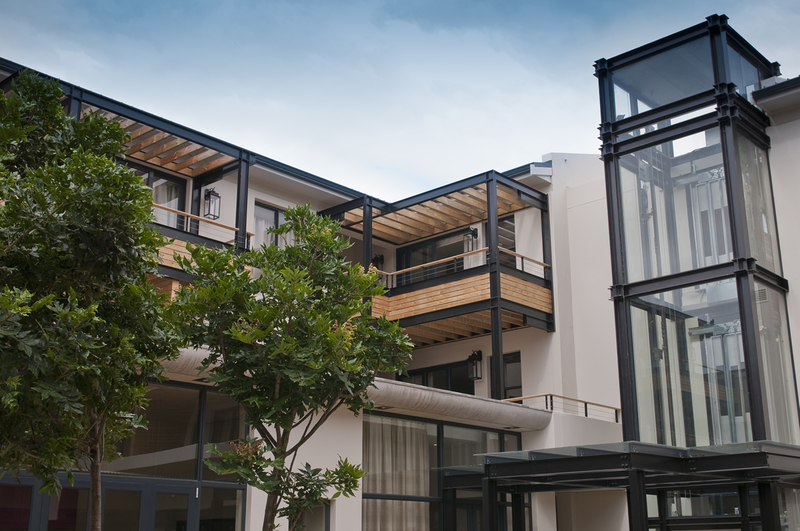 Knysna is certainly a quaint city full of pleasant surprises. My only complaint is only spending a day there. This beautiful city on the sea deserves as many days as one can sacrifice. I will definitely be returning to Knysna with at least a week to kill next time.